This week the Comic Cast talks with Tomm Moore, the director of a very exciting and beautiful new Irish animated film The Secret of Kells (in cinemas March 6th). Tomm studied classical animation in Ballyfermot College in Dublin before co-founding the Cartoon Saloon animation studio in Kilkenny. 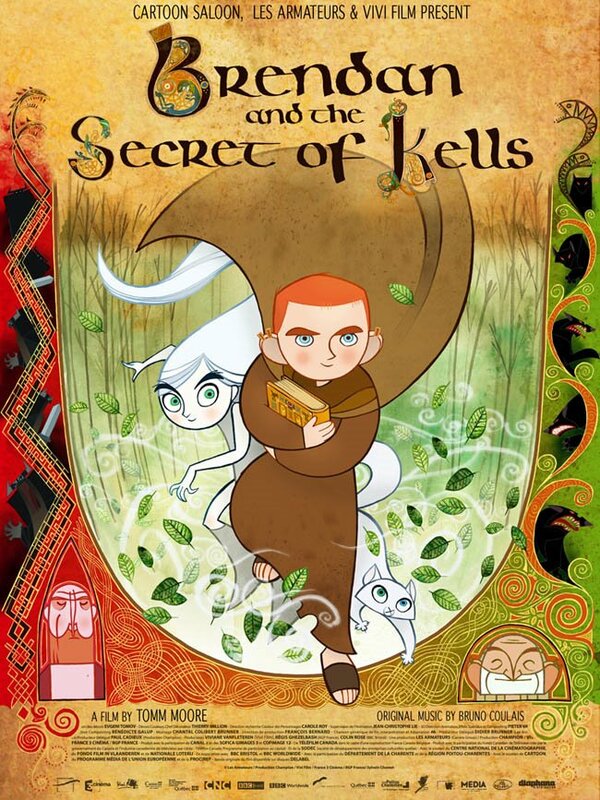 We ventured down there to discuss the making of The Secret of Kells, writing and illustrating two comic books that will act as prequels to the film as well his work as artist on two Irish langauge comic books of An Sclábhaí and An Teachtaire. The comic books of the movie of the book? And you thought Tristram Shandy was confusing! Enjoy. This entry was posted on February 17, 2009 at 3:07 am and is filed under podcast. You can subscribe via RSS 2.0 feed to this post's comments. Really enjoyed this one guys. Congrats to all at Cartoon Saloon, i’m really looking forward to seeing the film. Everyone should check out Pedrosa’s Three Shadows. It’s a stunning piece of work. Kicks Craig Thompson’s arse all over the place. Kudos for the April March end music too by the way. Still, great interview though. Really curious to see the upcoming comics and the film sounds phenomenal… It’s annoying to hear Tomm going on about these ‘geniuses’ that he wishes he were as talented as, he was by far the standout artist in our class in college… used ta piss me off something rotten. And he still owes me a batman drawing. I know you’re reading this Moore! Moany Mooney is your new name here at the Cast, Stephen. We got the same feeling about the ‘geniuses’ talk. We can only hope that we’ll have set-up our own award-winning animation studio and direct an animated movie by the time we’re like 30. “Comic Cast Cartoons – we draw like our arms are in casts”. Looking forward to listening to this. Did you see the top class mention on scamp.ie? That should be good for an extra download or two. Hey Andrew. We certainly did. That was courtesy of our good friend Brenb. BTW. that comment at the end was hilarious. Thanks Charles! As Tomm was saying, it’s being released on DVD over here at the end of the year so you could always order a copy then. Still a good few months away though! We’re uber confident the film is destined for big things so fingers crossed it’ll cross the Atlantic sooner than expected.